Cecil and Susan Stallard purchased Green Gables Farm in 2000 and created it to be the enchanting place that it is today! After owning and operating a historic hotel in downtown Statesville, NC for 4 years, they decided that they wanted a new and exciting project to take on together. Thanks to Cecil's hard work and Susan's eye for design, they began to improve the overall look of the farm, built pastures and a paddock, purchased and care for several horses, goats, and a donkey, and decorated the farm house. 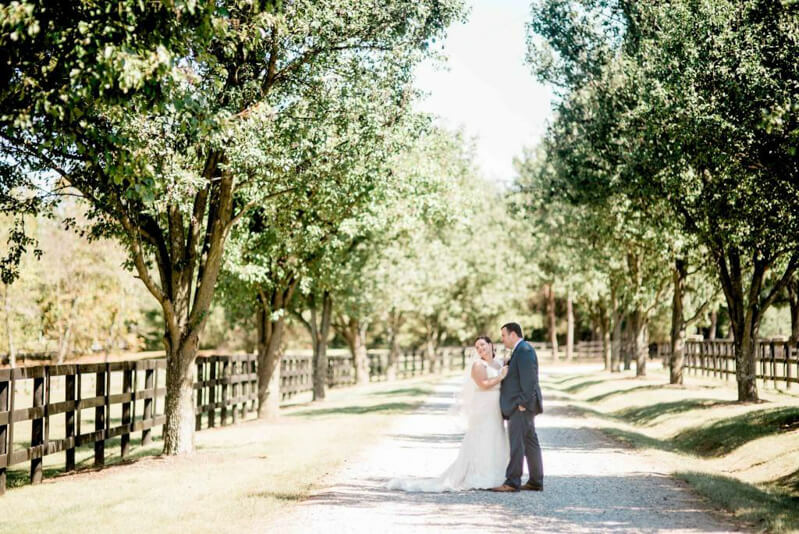 The Stallards hosted their son's wedding rehearsal dinner at Green Gables Farm, after which they realized what a gem they had constructed and wanted to share the 35-acre farm with others. They made additional renovations to the house and barn and further improved the pastures. Susan designed the pavilion, that now hosts wedding receptions, to be a place where guests could feel like they were in the midst of the majestic North Carolina mountains. Cecil and Susan have put their whole hearts into making their vision of a stress-free, grand yet rustic, outdoor wedding venue become a reality. We hope you enjoy and treasure this little piece of paradise as much as they do!